We're back to normal today after a long, relaxing holiday weekend. And by the looks of people I see in the street, it looks as if most of you could stand to use a vacation day to recover from your vacation! Now that the 4th of July holiday is finally behind us, it's time to cruise through the month of (hopefully) delightful summer days and nights ahead of us. As expected, we were treated to a wonderful fireworks display, thanks to Macy's Department Store. The colors really popped on our TV's here at the bar, which, unfortunately, was the only place us folks on the East Side of Manhattan could see the display. On TV. Just a not-so-subtle jab at the folks who decided that moving the Fireworks show from the East River to the West Side of Manhattan was a good thing. Thanks. As I write this quick post, I'm watching the reactions on TV of the not-guilty verdict in the infamous Casey Anthony trial. My sense of this is that most people are STUNNED by the verdict reached by the jury, with many of them comparing this to the O.J. Simpson verdict years back. Crazy stuff. 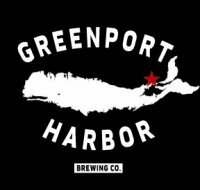 ONE and DONE: If you happen to swing by the bar in the next day or two, make sure you try out our GREENPORT HARBOR beers, as they are only here for a very short time. Currently on tap: CITRUS IPA (Cask-conditioned Ale), HARVE ROUGE and the HARBOR ALE (on draft). It's only here until the end of the week so have one and share your thoughts on them here! TONIGHT: Dollar Draft Madness ($1 Bud/Bud Light mugs) rules the night as our weekly grandaddy of drink specials hold court. Dollar Draft Madness has been running at Third and Long ever since we opened in 1991 and it continues to bring smiles to everyone's faces! Grab the work buddies and swap stories of the holiday weekend over a couple of mugs!